Ps thanks for telling me about asking lawrence to try & order me the ones that are not on the site, I really never know we could do that. A another great reason to order even more items from here. plus i belive theres a couple of throwing knives there too. Aye the toothpick looks mint, im after a fairbairn sykes commando knife buks's sells for £65 ive found one abit cheaper do i email lawrence cos of his price promise thing? 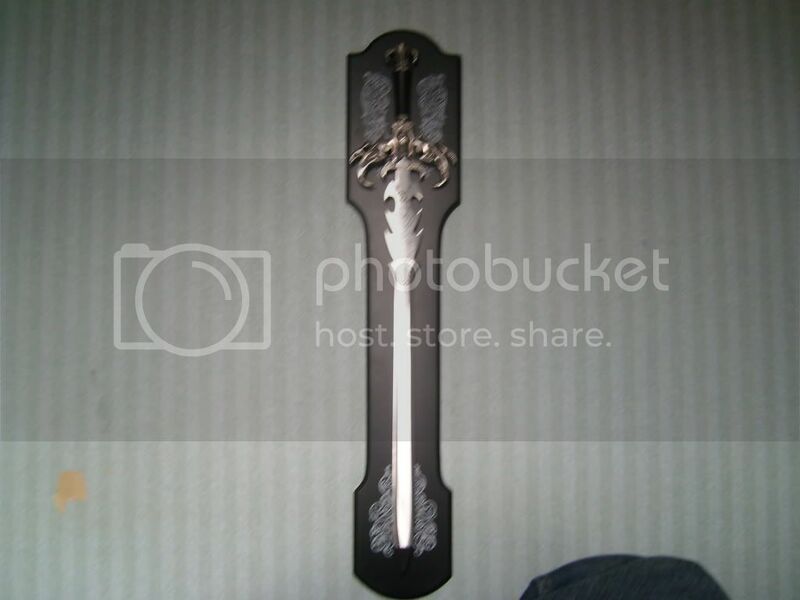 Swords here so heres a pic of it on my wall! Sorry about my blurry camera work on this pic but I like the way the light catches it where it is haha. My only Gripe is that some of the black paint is missing as you can see in the second pic. Sorry I missed that or I would have taken care of it. resolution as follows - a scraper, razor or even a little white spirit will take off the other side completely, then it'll be nice and symmetrical. jamesb0551 wrote: Aye the toothpick looks mint, im after a fairbairn sykes commando knife buks's sells for £65 ive found one abit cheaper do i email lawrence cos of his price promise thing? there are many different versions which vary in price considerably, ours features the broad arrow and nato serial number but I do have other cheaper Fairburn versions around here somewhere, I've found collectors really want the stamped versions where possible, send me the link and I'll see what they're selling. The artwork is on both sides. Its just theres that small section of paint thats came away somehow, Ill try taking that section of the art away on both sides so it looks complete, thanks for the tips on that... Then I guess I can say I have a handmade, custom and unique sword aha. Its also heavier than expected, gives me some insentive to build up some upper body strength , itll be nice when I can wield it one handed with a little finesse. 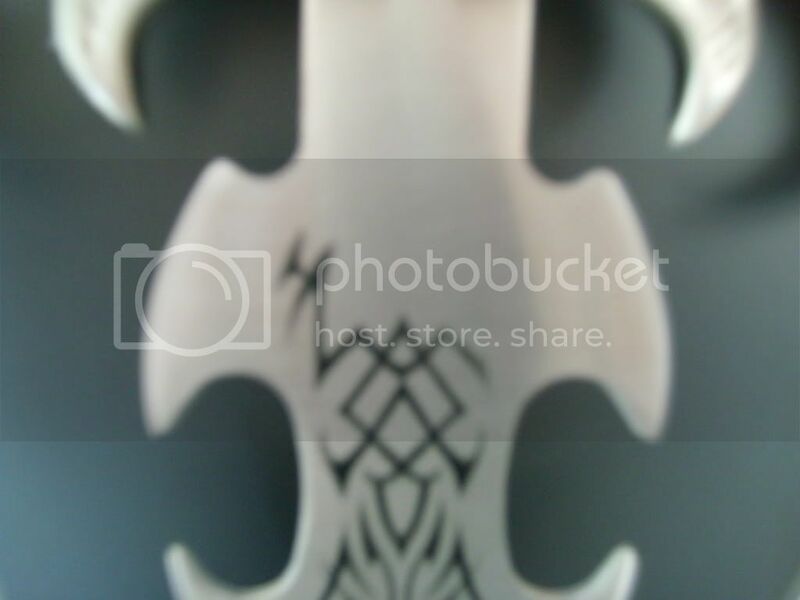 Also I think I might pick up one of the ninja swords out of next months pay, perhaps the "Budo Storm Ninja Sword (W)"